Click video above to watch: Women’s entrepreneurship is the theme for this short film about NEF UK’s project helping victims of gender-based violence to gain entrepreneurship skills. NEF UK’s program was internationally recognized by the European Training Foundation (ETF) with a certificate of excellence for demonstrating good practice in implementing trainings for women’s entrepreneurship. Toma, a 40-year-old single mother to a young boy, endured abuse from her husband for more than a decade before escaping and seeking refuge in her parents’ home with her son. 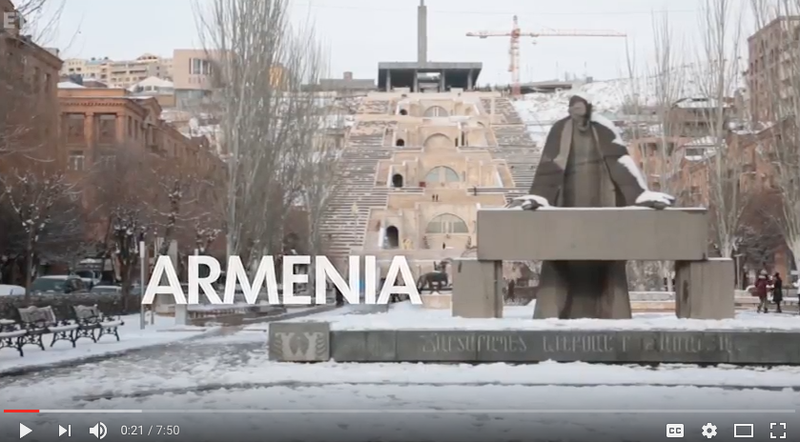 Domestic violence against women is commonplace in Armenia, where 59 percent of women report being subjected to physical, psychological, or sexual violence at the hands of their domestic partners. It is only fairly recently that this widespread issue has entered public discourse as a real and growing problem. Without a job and income to support her son, Toma sought psychological and legal support from the Women’s Support Center (WSC) in Yerevan on the advice of a friend. There, Toma heard about NEF UK’s European Union-funded AGERS-GBV program, which equips survivors with the knowledge, skills, and support structures they need to start their own small businesses or find sustained employment. “I knew self-employment was better suited to my situation, but I didn’t know how to make it a reality,” Toma explained. Toma saw NEF UK’s program as an opportunity to become self-reliant, and applied to enroll in the business development component. Through the trainings, she was taught the skills needed to plan, organize, and manage a small business. Working with the program’s business development trainer, Toma developed a viable business plan and finance strategy that was approved by a selection committee. With a project-supported grant secured, Toma purchased materials for 40 shoes, which she quickly transformed into 16 pairs of women’s shoes just in time for the Armenian winter. Toma plans to use her remaining materials to get a head start on a spring line of shoes. NEF UK’s program was internationally recognized by the European Training Foundation (ETF) with a certificate of excellence for demonstrating good practice in implementing trainings for women’s entrepreneurship. ETF created a video to highlight the program’s success in developing economic opportunities for survivors of gender-based and domestic violence. Click here to watch. To date, 161 women survivors across Yerevan and Lori and Syunik regions have signed up to participate in the business development stream and 131 of those women have developed business plans. Fifty-one women have already received funding to support their small businesses and the remaining 80 women will receive funding in the near future. Additionally, 116 women have enrolled in the employment development trainings where they are learning valuable skills needed to meet employer qualifications. NEF-UK’s AGERS-GBV project is funded by the European Union and implemented in partnership with Gegharkunik Chamber of Commerce and Industry (GCCI). Some names have been changed in this publication to protect the privacy and security of the individuals involved.